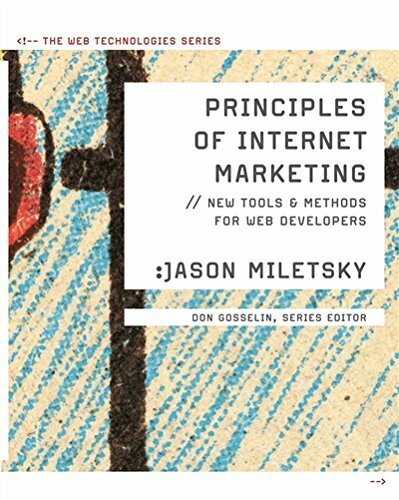 [PDF] Principles of Internet Marketing: New Tools and Methods for Web Developers (Web Technologies) | Free eBooks Download - EBOOKEE! Description: Principles of Internet Marketing: New Tools and Methods for Web Developers (1st Edition) helps readers understand the "why" behind the "how" of Web site development. It teaches the importance of the brand and how that relates to Web site development, the reasons sites are developed, how they build an audience, and most importantly, how companies use the Web to earn revenue and build recognition among their desired market. You will learn the strategies used to drive traffic to a site, the tools that are available to keep audiences coming back (with a focus on social media tools), and the role marketing plays in the building a successful Web site. No comments for "[PDF] Principles of Internet Marketing: New Tools and Methods for Web Developers (Web Technologies)".